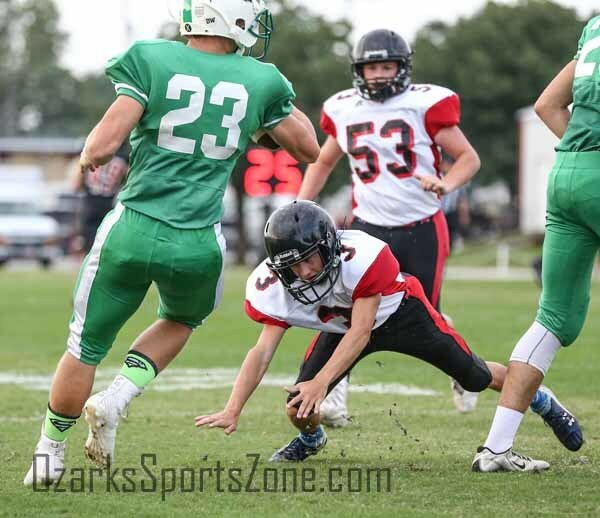 Pierce City traveled to Stockton for their jamboree last Friday night. Our Eagles faced some good competition from Lamar, Stockton, and Nevada. Here’s what Coach Hocker had to say about the Eagles first outing, “There were some positives, but you can’t take much out of it when you are playing 2 JV teams, but we did play well against the one varsity team (Stockton). We scored a lot of points and I was encouraged we didn’t give up a touchdown.” Scoring for the Eagles, were Kaleb Meyer, twice, Donell Kleiboeker, twice, Trey Sagehorn, Trenton Kluck, Chanse Ford, and Tyler Shipman once each. Season opener is set for tonight, Friday 18th, the Eagles host the Diamond Wildcats in a conference battle. Kickoff is set for 7:00 p.m.